This workbook will guide you on the journey of building a genuine personal brand that moves audiences. It includes exercises, templates, and helpful advice to navigate everything from shaping a personal brand story, to designing symbols that represent you in the marketplace. 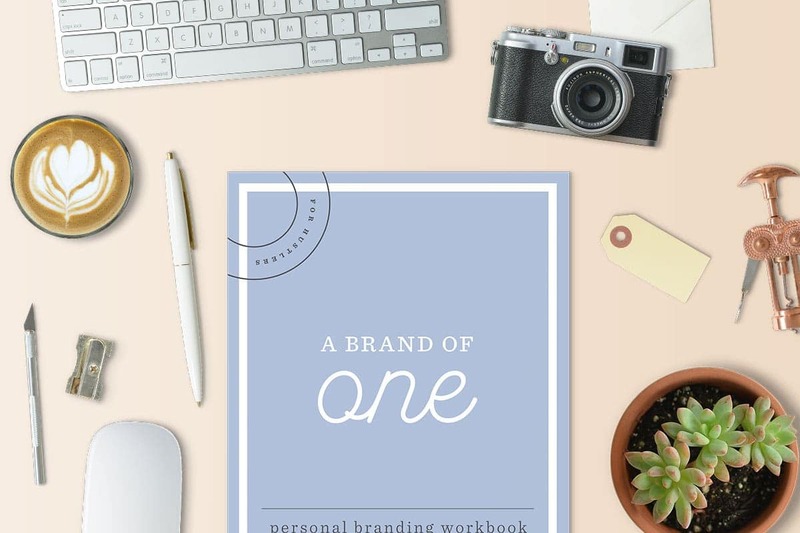 Among many others, you’ll find a month’s worth of personal brand journal pages, a worksheet to create your manifesto, and a complete personal branding plan. Branding yourself and your dream can be a form of therapy. This hyper-digital world of ours has a funny way of amplifying mistakes. Accentuating faults. Introducing doubt. Without strong convictions and self-esteem, our lives can slowly turn into a “me too” song where all we are trying to do every morning is keep up, comply, and fit in. Branding is a cure against all of that.